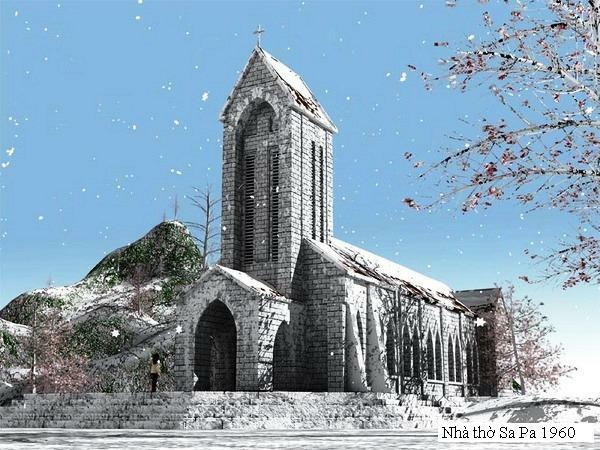 Sapa attract tourists all four seasons in year. Located in Lao Cai Province, about 330km from Hanoi capital, Sapa is the combination of a beautiful leisure town built by French in 20th century and imposing mountainous landscapes. Here is some helpful information for those who are preparing for a trip to Sapa. 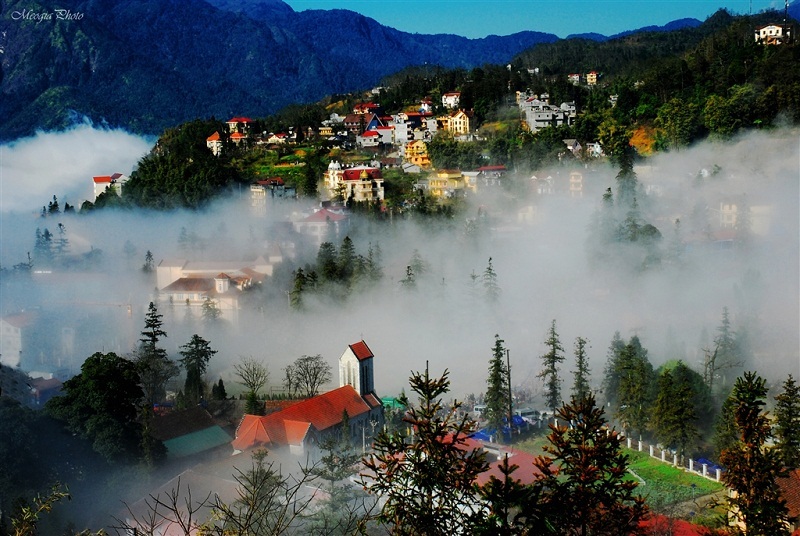 Sapa has humid subtropical climate but situated in the height of 1,600m above sea level. That’s why it always cool and foggy all year round (annual temperature is 15.4°C). The best time to travel to Sapa is from September to November, because it is when the weather is dry and perfect, not too cold and not too damp. 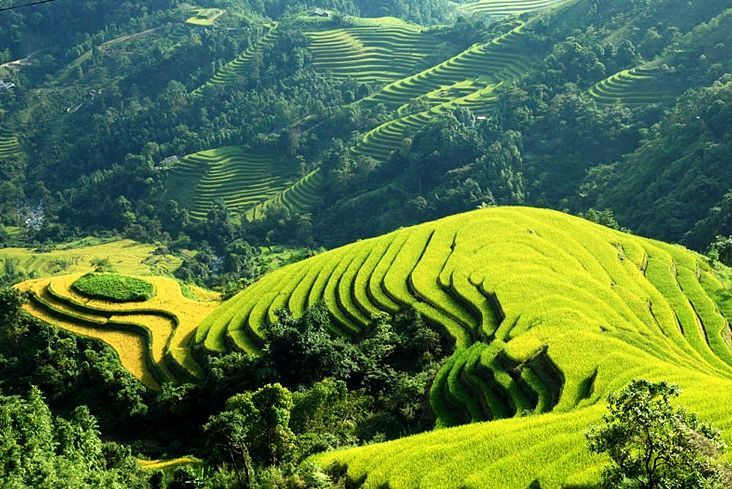 Moreover, it is time of ripped rice terrace fields – one of the most beautiful scenes in Sapa. From Hanoi, you can travel to Sapa by train or couch. By train, you go to the Hanoi Railway Station to buy ticket from Hanoi to Lao Cai city. You should book the berth to be more comfortable because it usually takes 6-7 hours to get to Lao Cai Station. From Lao Cai city, you can take bus, taxi or motorbike taxi to Sapa. If you go by couch, it is much faster now because of the new highway Noi Bai-Lao Cai which just takes you 3-4 hours. When you get in Sapa, you should hire a motorbike to travel around or walk by your foot. The hired motorbike prices vary from 70,000 to 120,000 VND/day. There are so many accommodation choices for you to make, including hotels, motels, resorts, homestay service, etc with various prices. Sapa has a lot of specialties such as salmon, acipense, Cap Nach pork, grilled meats and various vegetables. You can eat in elegant restaurant in the town or join the daily meals with local ethnic families. Stone Church: located in the center of the town, it is the most ancient architectural work of the French left in 20th century. It still remains everything till now. Ham Rong Mountain Tourism Site: located in the outside of the town, it is one of the Sapa’s tourism symbols. With the total are of 150ha, it has a very vivid flower garden of various species, orchard and imposing sceneries of Ham Rong Mountain. The entrance ticket is 70,000 VND. Silver Waterfall, Love Waterfall: both located near the town centre. They are not really imposing, but very high and stunning and featured by extreme wonderful surroundings. O Quy Ho Pass: is the one of the most 4 dangerous passes in the North. It is ideal place for packager. Muong Hoa Valley: it is famous for old stone stretches and amazing rice terrace fields. Ethnic minority villages: Ta Phin, Cat Cat. They are small local ethnic minority villages situated in very charming mountainous scenery. They also has unique traditions and cultures. Fasipan: the highest mount in Indochina. With the height of 3,243m, it is perfect place for trekking, climbing. What must be seen in one-day Hanoi tour?